You probably purchased a pool not just to swim and keep cool, but to spend time with the family and/ or kids, friends or hosting parties. But you didn't realize how much work it actually took to maintain your pool. Having a pool is one thing. Keeping it clean is another. As a pool owner in the Fresno or Clovis region, you know that pools don't just keep clean themselves. It takes work. And time. And money. And energy. And consistency. And a little bit of expertise. People are already busy enough with work and life and family, and to add even 3-4 hours a week mixing chemicals and cleaning the pool can be add a huge hassle to their lives. Lets us remove that hassle for you and take care of all of your pool service needs. We've worked with thousands of satisfied pool owners all over the Central Valley, as we've helped them keep their pools in pristine condition. Are you next? All of our technicians are certified and will not leave until you're completely satisfied with your service. We take our work very seriously and pride ourselves in striving to become the top pool service company in Fresno, Ca. 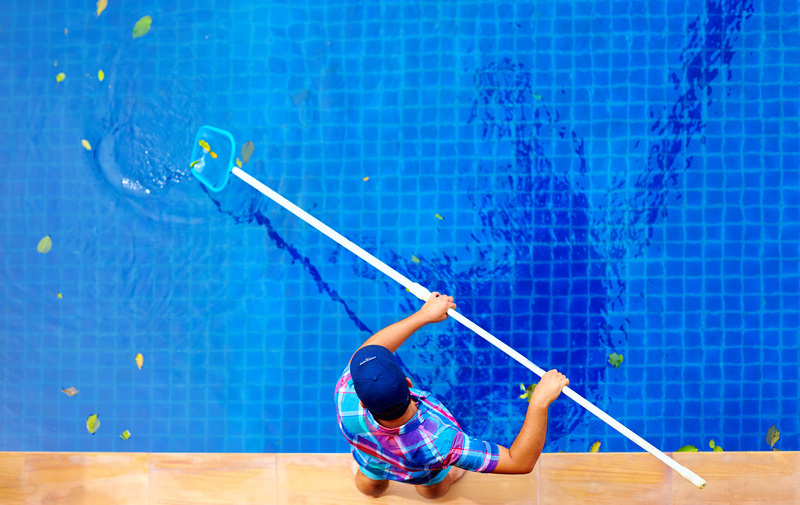 We provide a wide array of pool services in Fresno We want to make sure that first and foremost, you and your family can enjoy your pool safely during the summer, and all throughout the year as well. The cost of pool service in Fresno depends on a number of factors. The size of your pool, the location, the frequency of our pool services and how comprehensive you want to be. We have a few packages to choose from, but you can generally expect weekly service to start at $95/ month. If you ever have any questions, do not hesitate to call 559-869-4754 or fill out or contact form. We look forward to helping you enjoy your pool today!